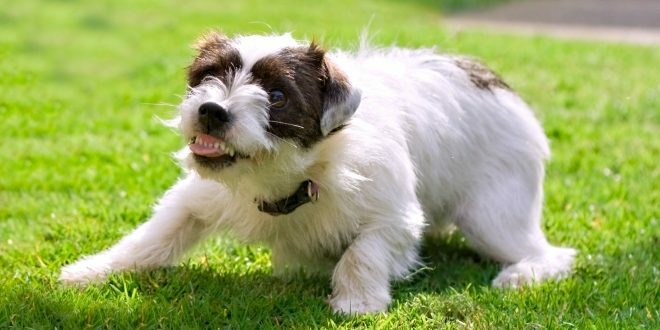 Home » Training & Behavior » Is Your Dog Burying or Guarding Food? 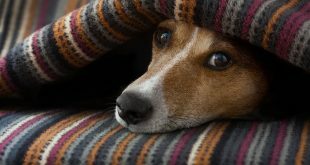 Have you noticed that your favorite pet is hiding his meals or becomes nervous when you approach him while he’s eating? These are all perfectly normal instinctual behaviors for dogs. They can be more pronounced in some dogs than in others but all have an innate tendency towards it. Here are some great tips on how to deal with such behavior. A long time ago, before we all become friends and trusty companions, dogs lived, hunted and scavenged in packs. It was a meager existence without all creature comforts that we are used to today – rubber squeakers and premium food galore. They survived of what they caught or found in the wilderness full of other hungry animals that wanted their piece of the pie (or in this case prime rib). Mere survival meant that they had to become a little bit selfish concerning their eating habits. Defending their meals from other animals that would otherwise claim their dinner them for themselves was crucial for their daily existence. Hence guarding of food. Burying comes from the need to preserve leftovers to snack on another day. Buried under ground meat and bones would be well hidden from most animals and would be preserved much better and longer than when left on the open air. This enabled dogs to have a ready meal in times of scarcity without having to do much work (if they could remember where it was in the first place). The most common reason for your pet to start burying food is that he has more than enough on his plate already and wants to preserve the delicious snack for later (just like his ancestors did). If your pet started to bury or hide your personal belongings (those that he can’t eat) it most probably means that they are hungry for attention and want you to take notice and spend more time doing something fun together. 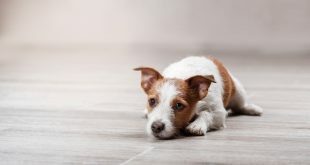 Sometimes, especially in high energy, highly intelligent breeds, with excellent burrowing skills like Jack Russell terriers they might do it just for the sheer fun of it when they are feeling bored. Burrowing food does not necessarily mean that they dig a hole in the ground (preferably smack dab in the middle of your rose garden). In case that they don’t have access to soil, e.g. if you live in an apartment, they might try to hide all sorts of things under the carpet, your cushions and furniture. Such behavior is a symptom of a greater problem that you could be having with your pet. It’s a way that your beloved tries to communicate to you that something needs to change. Either give them smaller rations of food or pay more attention to their needs and spend quality time with them so they don’t feel unwanted, neglected and bored. They want and need love and attention just as much as you do. As we’ve mentioned before food guarding is an instinct left over from old times. People often give their dogs space to eat in peace since they are puppies. It’s an old wisdom to let them be during their snack time. The problem arises when you have guests, little children and other people that aren’t necessarily acquainted with your dogs habits and pet etiquette in general. They might start pestering your dog during his meal without recognizing that he is under stress and that could lead to some bad consequences. Therefore it’s logical that you should accustom your pet to interaction during their meals, and it’s best to start early, while they are still young impressionable cute balls of fur. Although, it’s never to late for your older four legged friends – just remember to be patient and positive, as always. The goal is to relieve them of their stress and anxiety. Start slowly and at a distance. Be as close as you can without them showing symptoms of guarding behavior (e.g. growling, aggressive posture). Give them a high value treat and let them finish their meal in piece. After doing that for some time (approximately 10 meals) move a little closer and repeat the whole process again. Don’t make a big deal out of it. Your attitude should be: nothing to see here, everything is normal. After some time, we’re talking about weeks here, you should start throwing high value treats in their bowl as you are passing by. Don’t overdo it. The goal is to teach them to start associating proximity of other people to their feeding area as something pleasurable and exciting. That is why you should use high value treats that they crave more than the currently served kibble. The trick is to give it to them casually and in small doses – you want them to finish their whole meal in piece with them behaving like you aren’t even there. Your beloved should see the presence of other humans as something fun and desirable, something to look forward to instead of fretting over lunch. Our beautiful companions have some character traits that are rooted in their ancestral drives, just as we do. We have to have patience and understanding for their needs just as we expect them to have for us. They communicate with us not only through barking and growling but through a slew of gestures, mimics and behaviors that we mustn’t be afraid to observe, learn and interpret. Only by learning to trust each other you can have a harmonious and joyous life. 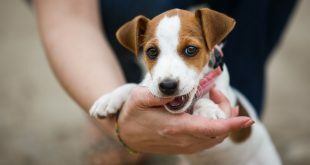 I hope that this short piece will help you better understand and train your beloved JRT’s. Leave your thoughts and suggestions in the comments bellow. I have two jack russell, one male and one female. Lately the male has been eating the female’s food, as she eats really slowly. I’ve tried separating them during feeding but she refuses to eat. After a couple of days, she has started guarding her food so she gets her meals. Now however, she has taken to guarding both his and her bowls so he can’t eat! Is this normal behavior? Can something be done? I actually didn’t even know this was a thing. Thank you for some insight!